The primary goal of Dr. Li's research is to develop, evaluate, and disseminate efficient methods for comparing healthcare interventions and to provide trust-worthy evidence for decision-making. Her research interests include the methodology and reporting of systematic reviews, meta-analysis, randomized controlled trials, reporting biases, comparative effectiveness research, and patient-centered outcomes research. 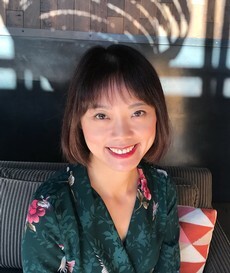 Dr. Li holds several leadership roles in the Cochrane Collaboration, including serving as a Coordinating Editor for Cochrane Eyes and Vision and co-convening the Cochrane Comparing Multiple Interventions Methods Group. She is an Associate Scientific Editor for the 2nd Edition of the Cochrane Handbook for Systematic Reviews of Interventions. She served as the Associate Director for Cochrane United States from 2012 to 2018. Dr. Li also serves as a Co-Editor-in-Chief for the journal Trials and as an Associate Editor for Ophthalmology (the official journal of the American Academy of Ophthalmology). She is an elected member of the Society for Research Synthesis Methodology and received the Society’s Early Career Award in 2016. *Rouse B, Cipriani A, Shi Q, Coleman AL, Dickersin K, Li T. Network meta-analysis for clinical practice guidelines – a case study on first-line medical therapies for primary open-angle glaucoma. Annals of Internal Medicine. 2016;164(10):674-82. Li T, Lindsley K, Rouse B, Hong H, Shi Q, Friedman DS, Wormald R, Dickersin K. Comparative effectiveness of first-line medications for primary open angle glaucoma – a systematic review and network meta-analysis. Ophthalmology. 2016;123(1):129-40. Li T, Vedula SS, Hadar N, Parkin C, Lau J, Dickersin K. Innovations in data collection, management, and archiving for systematic reviews. Annals of Internal Medicine. 2015;162(4):287-94. Li T, Hutfless S, Scharfstein DO, Daniels MJ, Hogan JW, Little RJ, Roy JA, Law AH, Dickersin K. Standards should be applied in the prevention and handling of missing data for patient-centered outcomes research: a systematic review and expert consensus. Journal of Clinical Epidemiology. 2014;67(1):15-32. Li T, Vedula SS, Scherer R, Dickersin K. What comparative effectiveness research is needed? A framework for using guidelines and systematic reviews to identify evidence gaps and research priorities. Annals of Internal Medicine. 2012;156(5):367-77.